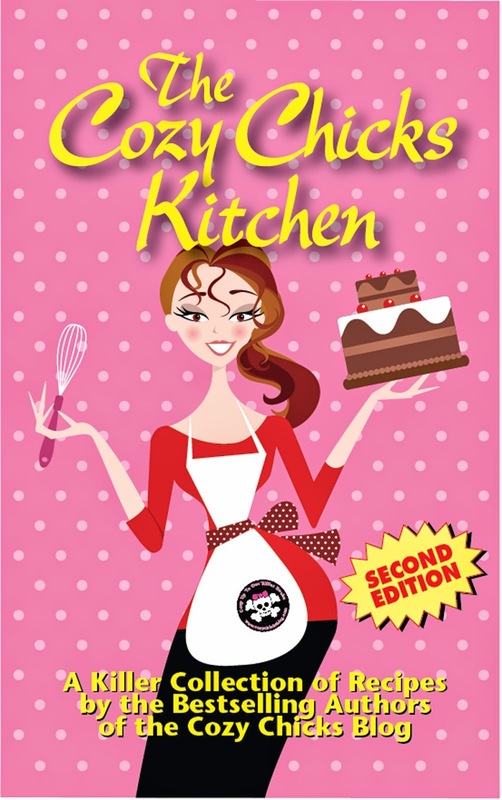 Cozy Chicks: Conference Swag...For You! 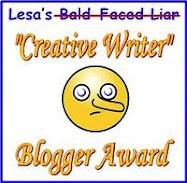 So you'd love to attend the big mystery conferences: Left Coast Crime, Bouchercon, The Edgars, Love is Murder, Malice Domestic, etc., but you don't have the funds or the free time to go. The biggest bummer? You miss out on all the fun author swag. Don't worry! The Cozy Chicks are going to remedy that sad situation. 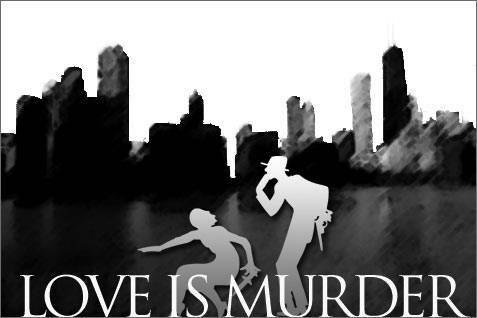 We'd like to offer five readers goodie bags of author bookmarks and postcards so you can feel like you attended last week's Love Is Murder conference. And keep an eye out for fresh treasures in May, when we've saved treats from Malice just for you, our loyal readers. So leave a comment and we'll draw five names by the end of next week! I would have love to been there. AWESOME!!!!!! Just got my new bookmarks - LOVE THEM ALL! How fun! I never get to go to the big cons; they are always during school. Thanks for the opportunity for this poor teacher to win free books! I would love to have been there, too! What a sweet thing to do ladies. AWESOME!!! Would love to attend but just can't the time off. I would love to have been there and love The Cozy Chicks, too. what a GREAT idea!! thank you SOOOO much for this opportunity!!!!! I love the wonderful way your group shares the books, the writing ,the characters and I am so glad I have found you guys.I didn't even know you could go to writer conferences so that is cool?? thank you! What a sweetie pie! Thank you so much! I have always wanted to go to them but have never had the chance. Your goody bag will be the next best thing to being there! Whoo hoo. It's nearly impossible to get time off at work. I'd love to be able to score some swag. Thanks for the opportunity! What an awesome idea! I've been working my way through all of your books, as well as finding more great books through your links. Thanks for sharing your stories with us! Oh, awesome. Thanks for the chance! Thanks for doing this! I would love to go to these but until things improve, its nice to know I now have a chance at some of the goodies. Much appreciated! I too would have loved to have been there, or to any of the conferences for that matter. They look like a lot of fun. Fantastic of you all to provide this opportunity! One day I'll attend a conference--but until then--I'd LOVE a bag of goodies from a conference. Not sure what a swag is. But I do wish I had an opportunity to meet more authors. Some I have only had the opportunity through their books - others I have online through email, websites, and blogs. Thanks!!! That is a great offer! Living in Holland, I never will be able to go :( but I love writers goodies. Wonderful idea! I was hoping to get to Malice this year, but it doesn't look like it will happen. Maybe next time. I'd love to be in the drawing for the latest swag. Love reading your blogs and have been introduced to some wonderful author's through them. Thanks. What a sweet thing to do! Thanks!! What a great idea! Thanks for thinking of the ones that can only be there in spirit. WOW!! How wonderful!! You are very kind to include those of us who can't be there. Thank you!! I would love to be able to go to just one of these gatherings, but don't have the money to go. At least I have been lucky enough to meet so many of you on Facebook. This is such a nice giveaway. That is awesome!!!! I would really love to go to one of the conferences, but have little time. Great that you think of your fans!! I want to win, I want to win...never hurts to think positive! Thanks to the Cozy's! Thanks for sharing the conference love! I would love to be a winner! I am another poor teacher that loves to read, and collect bookmarks! It would be fun to go to one of the conferences and meet all of you. Thank you for thinking of all your loyal readers. That is so sweet of the Cozy Chick! Thanks to all of you Cozy Chicks! What an awesome prize :) Good luck to everyone! Can't wait to see who the lucky five are going to be. I think swag bags are so cool - thanks! Wow - What a neat contest. I've never been able to attend a conference, so would love to win a goodie bag!! Thanks. What a nice contest from some very talented ladies. Wish I could have been there. Thanks for a chance to win!! Love the blog. i have read many new authors because of you guys. Thanks for the chance to win. a real pick me up for Feb. thanks...and pick me! Thanks for letting us have a chance to participate. You are so sweet to do that for us! You ladies are so good to us. What a lovely idea. 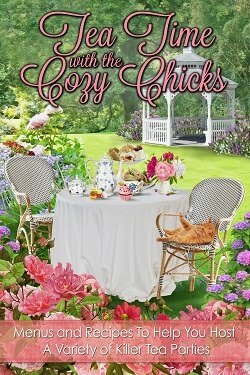 I would love to attend Malice someday but until then I can enjoy it vicariously through "The Cozy Chicks". Thank you for sponsoring this drawing. You are all so sweet! I'm determined, someday, to get to Malice, (and maybe something else if anything comes closer to me! ), but I can't leave my 90-year-old parents (and two dogs!) by themselves for more than a few hours at a time (when I work). So, I really hope to be lucky in this drawing! THANK YOU! How exciting! Please enter me!! Thanks for sharing your swag! How nice of you to share with us readers. One day I hope to get to a conference and meet some of you wonderful authors. Thank you for being you! Fingers crossed. Thanks you guys! I love to feel like I'm a part of it all! 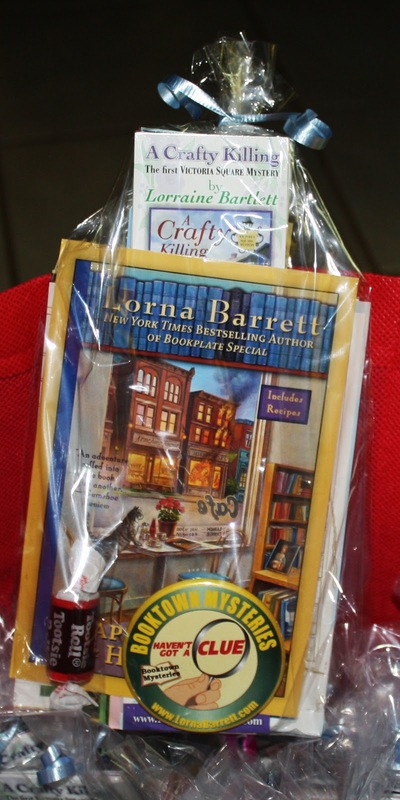 New bookmarks would look great in my new copies of A Crafty Killing and Absolutely Positively! Thanks for writing such fun books for us to enjoy! I would have rather been there than here with the contractor installing a new support beam in the floor/ceiling under/over the bonus bedroom/familyroom. Get it? It was a miserable experience and now I'm re-painting both rooms. Come for a visit. Bring your painting supplies! I'd love this! I'm going to make it to Malice Domestic one of these days. Oooh Pick me!! hehe This is lovely! Hey fun, always love bookmarks and stuff. A book too? ha! Hopefully someday I will be there! I'm making it a point this year to go to as many bookish type events as possible. Sadly, my job prevents me from going to most, but I'm trying. Thanks for the giveaway! Y'all are not just pretty faces, you have kindness too. I think it would be terrific to be able to go to simply be able to give hugs to each of you. Swag is always good, but getting to actually meet the authors I love to read, and maybe find new ones is even better! I'd love to win a goodie bag. Thanks for this giveaway! What a thoughtful thing to do! I'd love to win, I really enjoy the bookmarks and postcards I've gotten in the past. What a nice gesture. Thanks, ladies! Oh I would love to have gone to this, if only it wasn't so far away! I really hope I can win! Very nice of you to do this. I would love to be able to attend the conference in Maryland... I can afford either the tickets or a room... So I'm stuck here in Brooklyn for another year. I just talked to my husband about possibly attending a conference this year!!! Thanks for the opportunity ladies. All of you are the best to think of your fans! This is wonderful! Thank you! Wish I could've been there. I wish I could have gone, but this will help make up for it! What a neat offer. Thanks so much. You guys rock! So bummed I missed the conference, so this is great. I love going to the cons, but haven't been to one in a few years. The "swag" is always one of the best things about them! Thanks for the chance to win. Hopefully I can go to one sooN! Oooo, swag. Since attending a con is not an option at this time, swag (& hearing stories of the cons) are the next best. Thanks y'all! It is thoughtful of you all to give us the opportunity to get the conference swag when we are unable to go. Thank you! I LOVE conference swag. One of the best reasons to go, in my opinion. I'd love to scarf up a bag of goodies by all of your talented persons. My dream was to attend the Boucheron 2010 but life interfered as life is prone to do, and I did not, could not attend. So, Yes, I hope my name gets pulled. If not, I hope the five persons really enjoy their booty! One day I hope to be able to attend a conference. I am sure they are lots of fun!! I wish I could attend one of these conferences at some point. Fun, fun, fun! Got my fingers crossed! I would love to go to a mystery conference some day. They do charge a bundle, don't they? Several hundred dollars? If I ever win a sweepstakes I'll go to one. I think the one that came the closest to my home in Toledo was the Bouchercon in Indianapolis. I'd love to go to one of the mystery confernces - just a chance to meet "my" authors would be awesome! Have fun! How neat. Please enter me.